Teaching kids with special needs requires special resources. 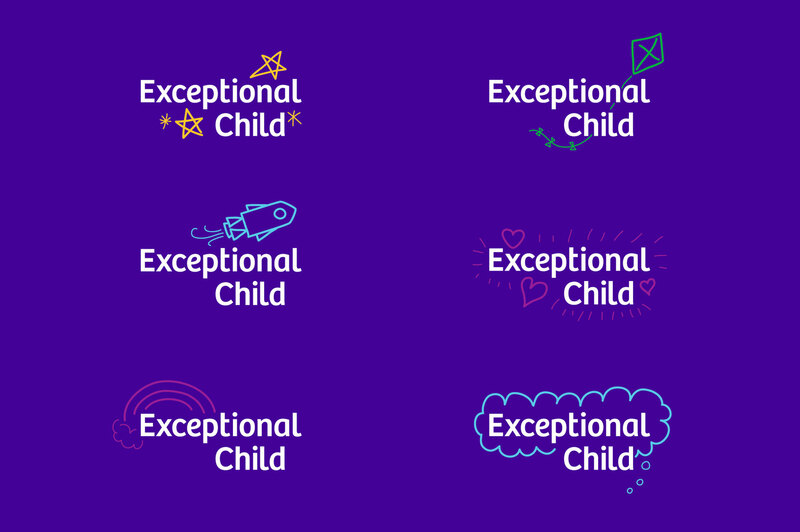 Exceptional Child—a comprehensive training program created by e-learning experts at Vector Solutions—gets teachers ready. 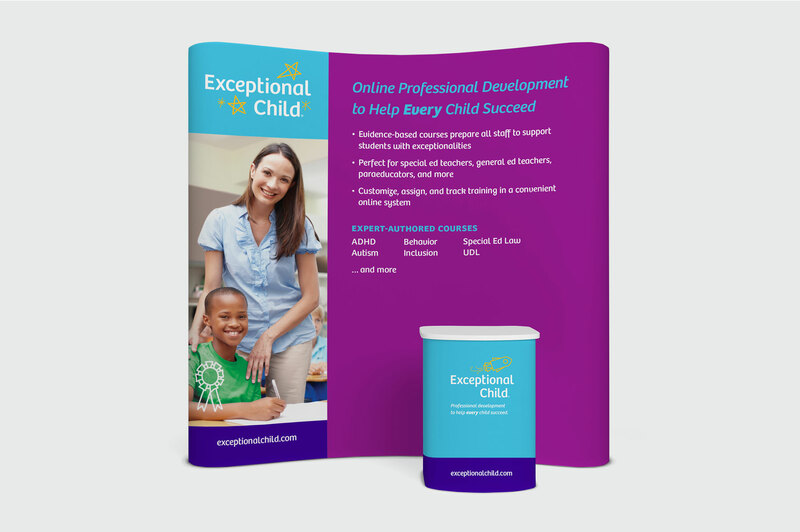 The brand needed a visual identity that was as flexible and easy to grasp as its educational products. Teachers listen to their peers and value proof over claims. 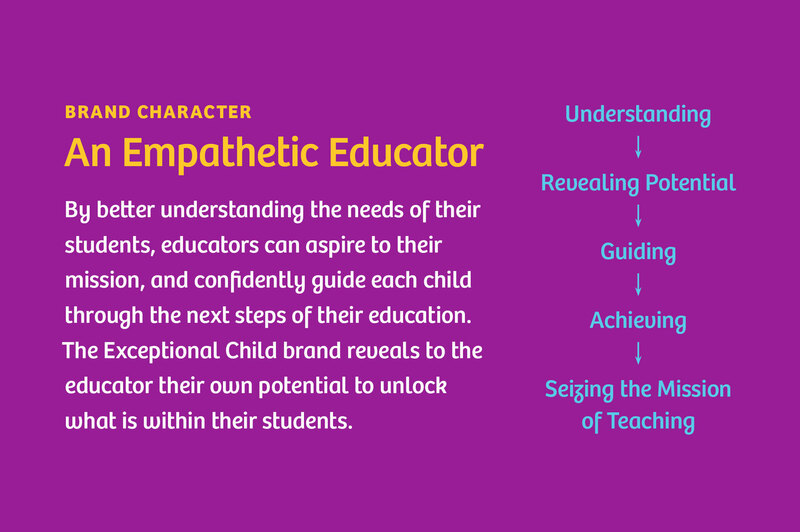 So, the brand character needed to connect on the target audience’s level and revolve around the product’s reasons to believe. A kinetic logo system allows the brand to support a number of key attributes, like affirmation, empathy, and possibility. Each illustration represents an energetic, colorful example of unlocking potential. 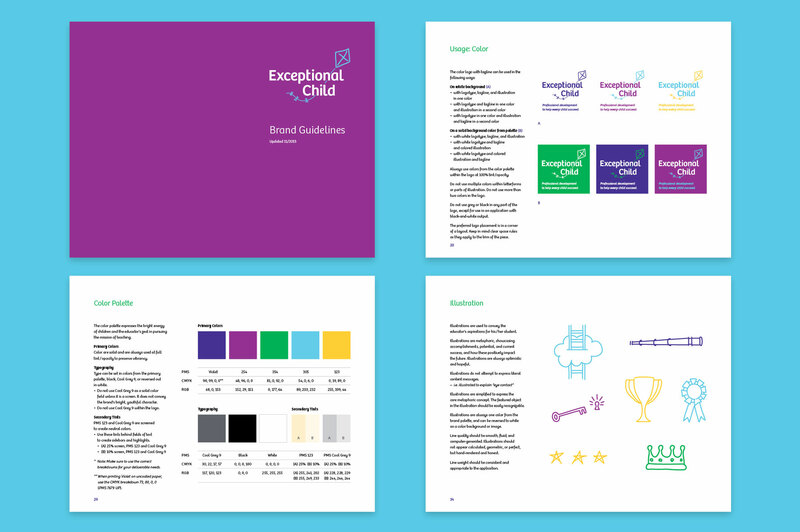 Every element of the brand says “optimistic and friendly.” The guidelines are an easy-to-use system that spells out how to streamline logo and color choice and how to use photos and illustrations to emphasize that positive, supportive message. 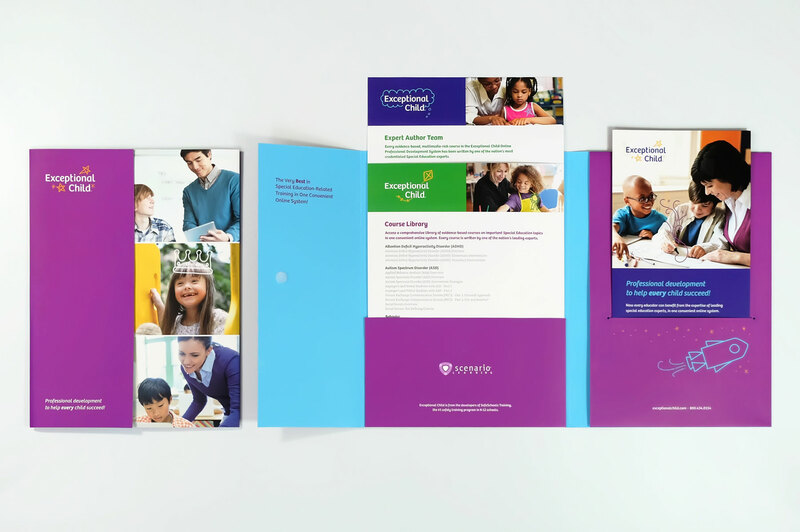 A holistic sales tool featured simple designs for easy in-house printing and options for print or digital distribution. Photography tells the story of educators meeting students at their level, while strategically-placed illustrations showcase the potential within every student. Trade shows were to be an early introduction to school district leadership and teachers. To make the program’s benefits clear, simple composition and vibrant color was again the rule.